What do you need? You will first need an Amazon account, which, fortunately, most of us already have. 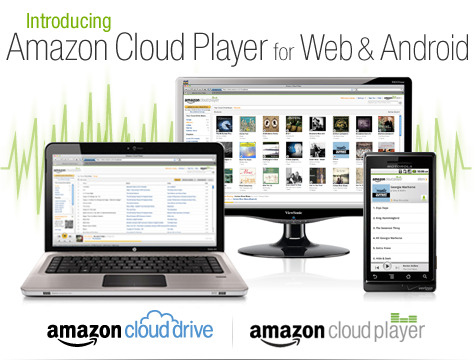 Then you will need to download the Amazon Cloud Drive and Cloud Player software on each device you wish to play your music. If Amazon let me upload the songs I previously bought from them, I would be more inclined to use this new service. 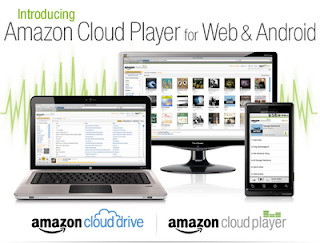 I will definitely give the Amazon Cloud Drive and Cloud Player a try when I buy my next song through Amazon. To entice people to get started, Amazon is offering a free 20 gigabyte account for one year with the purchase of an album. Tempting...but I will pass. Expect Apple to come out with something similar, I just hope they let us use our previously bought iTunes music for their "cloud" service. 04/14/2011 Update: It turns out you can can upload your entire music library up to the Amazon Cloud Drive, regardless of where/when you bought it. Sweet! To store your music library on the Amazon Cloud Drive simply register with Amazon and download the Uploader Amazon MP3 program.